As technology continues to change market needs, we remain steadfast in our commitment to introduce new capabilities to POS. To help you enhance competitiveness and expand business, we have developed our product capabilities in loyalty & promotion engine, data analytics, back office workflow and cost control management, and strengthened our products with the use of cloud technology. 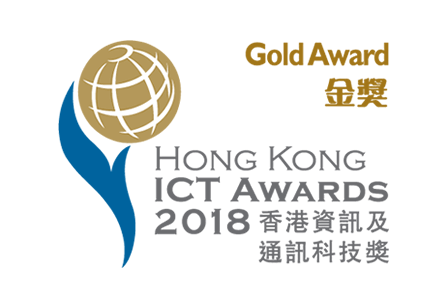 We are honoured that eRun Inventory & Cost Control System for Catering Industry is recognized as the Gold Award winner of Smart Business Solution for SME by the esteemed judging panel of the HKICT Awards 2018. The award recognizes our commitment to excellence in providing our customers with innovative, user-centric proactive POS management capabilities. We will continue to work to bring gold-level service and products to our customers every day. Comprehensive and user-friendly POS features simplified for small business, restaurant and retail shop alike. Flexibility to scale and tailor our POS solution to meet the needs of multi-location stores and future expansion plans. Synergy between our F&B and Retail POS to optimize your results for your complex business mode of “food + retail”. Seamless connection of all your shops and promotion counters through our Retail POS and POS on tablet. Powerful tool to build your brand and strengthen customer engagement. We integrate our POS with all credit cards and ePayment methods, mobile solutions, unlimited loyalty campaigns, back office operations and robust customization to adapt to your business needs. Choice of family-owned restaurants and restaurant chains alike. We offer an easy to use POS with all credit cards and ePayment methods, cloud solutions, back office workflow, data analytics, inventory and cost control management to smooth operation. eRun offers an affordable and effective way for you to implement a flexible and scalable POS solution into your business. Though it is your only shop, it deserves to have more than just a POS. Boost your sales with over a hundred automatic discount and pricing configurations based on product category, number of units sold, customer type, season or date. Build your loyal customer base and know their buying habits well. Enjoy flexibility and save time maintaining products, prices, employee records and more online. Increase mobility in servicing customers with our mobile F&B ordering system or tablet retail POS. Track and manage an unlimited number of items in multiple dimensions or using style grids with our inventory tool. Receive sales reports online and on desktop to get insights into your business data for long-term business grow. Adopt multiple digital payment methods such as Octopus, FPS, WeChat Pay, Alipay, credit cards, Apple Pay, Android Pay and Google Pay to speed up the payment process. Connect your shop POS to any online shop, smart phone apps, accounting or HR systems with our comprehensive APIs. Adopt an unlimited number of foreign currencies at POS to suit your operational needs. Striking UI, simple & easy-to-use, connected with all kinds of credit cards and ePayment methods, equipped with comprehensive POS functions, simply stylish and intelligent meeting your unique needs. Centralize management while allowing individual shops to modify shop-specific details. Organize critical transactions systematically across your whole business network to streamline operation. Communicate across all shops and manage your customers locally or globally near real time with our synchronization technology. Track inventory and control cost to prevent loss and make smart business decisions. Access sales, membership and overall shop data and statistics at back office or on the go with mobile devices anytime and anywhere. Bridge language gaps and avoid conversion hassles of exchange rate with our multilingual and multi-currency capabilities. 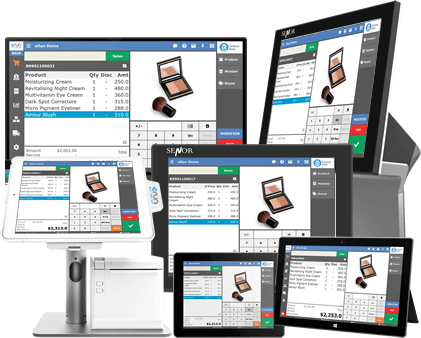 From single shop to enterprise chain stores, to mixed mode of retail and restaurant, one UI, all platforms, any devices, comprehensive POS functions. Let you run your business everywhere. eRun has the right tools to serve your mixed business mode of retail and restaurant. Our POS solution can be tailored to handle the diverse needs across retail, hospitality and catering functions to match your expanded operations. 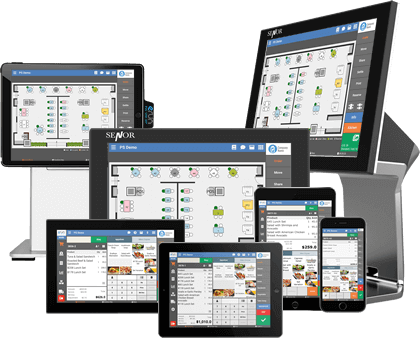 Ensure consistency in use and management with a single common user interface design across our F&B and Retail POS. Expand your customer base through mixing and matching membership discount and promotion configurations across your businesses. Centralize operations with a single back office across the board for your mixed business mode. Access to consolidated reports on sales performances, customer preferences and more to balance between food and non-food inventory items. With our hybrid POS solution available at your premises and on cloud, you can take transactions from stores, promotion counters, exhibition booths, pop-up locations or even on the road. 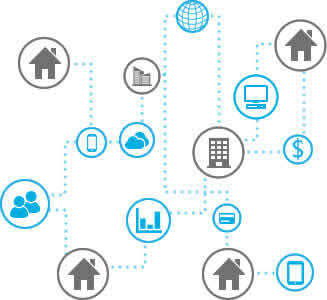 Register as many devices as you would like and connect them all seamlessly to a single back office. 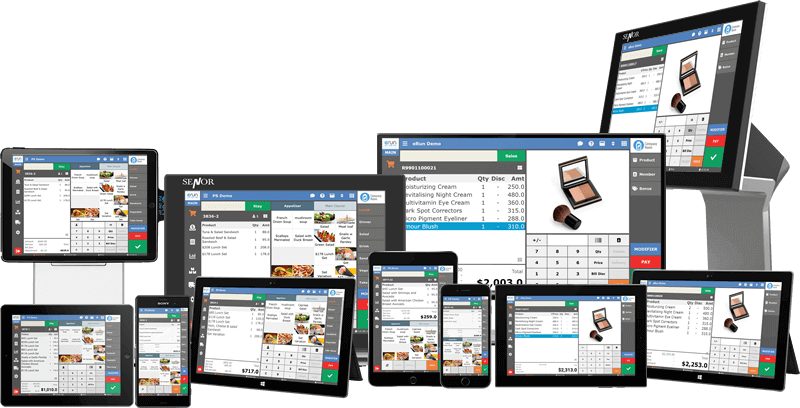 eRun can give you mobility in your business operation turning any off-the-shelf tablet into a complete POS system. Track inventory on the go and offer your customers with discounts, loyalty rewards and redemption wherever your business leads you. Track what is selling and what is not anywhere anytime in your back office or at the comfort of your home for all of your business locations.